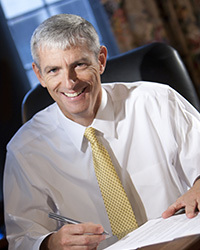 The chancellor is the chief administrative officer of the university, and a partner with many, many constituents on and off campus. Eight individuals have held the position prior to the university’s current chancellor, Mark Mone. 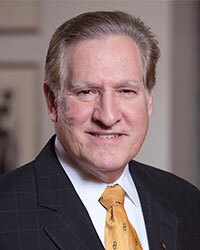 Michael R. Lovell was confirmed as the eighth Chancellor of the University of Wisconsin-Milwaukee in May 2011. He joined UWM in 2008 as dean of the College of Engineering & Applied Science and a professor of mechanical engineering. He was subsequently named a State of Wisconsin Distinguished Professor—a designation by the University of Wisconsin System that recognizes and supports professorships in areas of vital or emerging significance to the state. Chancellor Lovell continued to push forward several university construction initiatives including its 89-acre Innovation Campus in Wauwatosa; $53-million expansion of its School of Freshwater Sciences on the Milwaukee inner harbor; and the first phase of the Kenwood Interdisciplinary Research Complex, the first new all-academic building to be constructed on the UWM main campus in nearly two decades. Lovell created or strengthened partnerships with many Milwaukee-area corporations. Work with Johnson Controls and the University of Wisconsin was especially successful as was work in the area of freshwater science, where the he served on the board of The Water Council and supported the university’s participation in the Global Water Center. Chancellor Lovell is Chairman Emeritus of the Mid-West Energy Research Consortium, which has grown to have corporate and academic representatives from seven states who are united in their desire to make the region the U.S. leader in energy, power and control. Throughout his tenure, Chancellor Santiago focused on the university’s historic mission of providing student access and opportunity, delivering high-quality instruction, and becoming a premiere research university. Working in concert with the university’s governance structure, he led UWM during a period in which enrollment and degrees granted both grew by 12 percent, student retention through Access to Success increased for all students and especially students of color, doctoral programs increased from 19 to 30, and two new academic schools, for public health and freshwater sciences, were established. Research expenditures increased from $36 million (2003-04) to $68 million (2009-10), an increase of 89 percent. Two affiliate organizations of the UWM Foundation, the Real Estate Foundation and Research Foundation, were created during Chancellor Santiago’s term. The Real Estate Foundation coordinated the privately funded construction of two new residence halls: RiverView (2008) and Cambridge Commons (2010). The chancellor championed the $240 million UW-Milwaukee Initiative. It will result in significant investments in the future of the university and community, and include construction of a Freshwater Sciences Initiative research building and Kenwood Integrated Research complex; purchase and redevelopment of the Columbia St. Mary’s hospital campus; formation of a Public, Community and Clinical Health facility in downtown Milwaukee in support of the School of Public Health; and acquisition and creation of Innovation Park on the Milwaukee County Grounds in Wauwatosa. 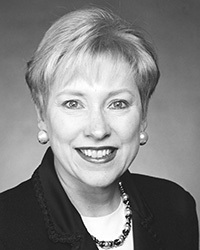 Nancy L. Zimpher was UWM’s sixth chancellor and first woman chancellor. During her tenure, the faculty, staff and students of the university strengthened their connections with off-campus constituents by developing The Milwaukee Idea, which focuses on improving education, economic development, and the environment and public health. The processes behind the creation of The Milwaukee Idea were chronicled in the book “A Time for Boldness: A Story of Institutional Change” (Anker Publishing Company, Inc., Bolton, MA) which Dr. Zimpher co-wrote with Dr. Stephen L. Percy, director of UWM’s Center for Urban Initiatives, and Mary Jane Brukardt, former senior writer at UWM. Dr. Zimpher and her husband, Dr. Ken Howey, were deeply involved in the creation and first years of the Milwaukee Partnership Academy, which seeks to ensure the academic success of all K-12 students in Milwaukee. The coalition represented by the academy-including the Milwaukee Public Schools, Milwaukee Teachers’ Education Association, Milwaukee Area Technical College, Metro Milwaukee Association of Commerce and Private Industry Council-is a perfect example of the collaborative, far-reaching partnerships that typified Dr. Zimpher’s administration. On October 1, 2003, she became the first woman president at the University of Cincinnati. 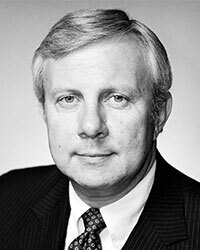 A UWM history professor, distinguished teacher and administrator, John Schroeder was named chancellor in 1991. He continues to serve the university as a member of the UWM history department. Dr. Smith has the distinction of being the first African-American chancellor of a four-year college in the UW System. He was a member of the faculty at the City University of New York, Tufts University, the University of Massachusetts and the University of Connecticut before coming to UWM from Oregon State University where he was head of the Radiation Center and the Department of Nuclear Engineering. He continued to encourage UWM’s efforts to expand its research. He also helped expand the campus, overseeing construction of the Architecture and Urban Planning and School of Business Administration buildings. He nurtured the nationally acclaimed Profession Theatre Training Program at the School of the Arts and supported UWM’s move into NCAA Division I play. Following his tenure at UWM, he became president of the General Electric Foundation. Frank Horton combined Klotsche’s focus on the city and Baum’s dedication to research to help build an urban research university that puts its knowledge and experience in service to its community. 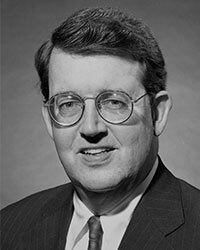 A professor of geography, Horton was director of the Institute of Urban and Regional Research at the University of Iowa and also chaired the Urban Affairs Division of the National Association of State Universities and Land Grant Colleges. Before coming to UWM he was vice president for academic affairs and research at Southern Illinois University at Carbondale. During his tenure at UWM, Chancellor Horton forged connections to the Milwaukee business community. He expanded the number of graduate programs and oversaw a major addition to the Golda Meir Library. Known for his outgoing style, he also led a major fund-raising campaign for the UWM Foundation before moving to the University of Oklahoma. He has since served — and retired — as president of the University of Toledo and continues to consult to higher education. An expert in meteorology and atmospheric science, Werner Baum received his degrees from the University of Chicago. 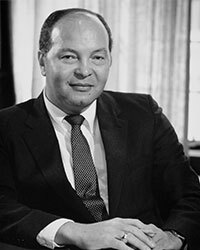 He served in faculty and administrative positions at universities in Maryland, Miami and New York until he was appointed by President Lyndon Johnson as Deputy Director of the Environmental Science Services Administration (now the National Oceanic and Atmospheric Administration). After a stint as president of the University of Rhode Island, he followed the stars to UWM in 1973. Dr. Baum helped to increase UWM’s focus on research and started the UWM Foundation, which supports student scholarships. While he was forced to end the football program at UWM, he helped to strengthen Panther basketball. He also expanded the campus with the construction of Curtin and Cunningham Halls and the Chemistry Building and the remodelling of UWM’s historic Downer College buildings. 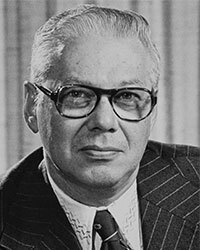 J. Martin Klotsche, or Joe, as everyone called him, had a career that paralleled that of UWM. A native of Nebraska, he earned his Ph.D. in history from the University of Wisconsin and came to Milwaukee in 1931 to teach at what was then Milwaukee State Teachers College. 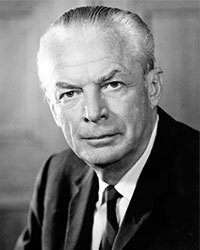 He became president of the college in 1946 and oversaw its renaming as Wisconsin State College in 1951 and eventually as the University of Wisconsin-Milwaukee in 1956. After his retirement as chancellor in 1973, he remained on the faculty of the history department until 1978. J. Martin Klotsche helped to define UWM as an urban university, a subject on which he wrote extensively, including the books “The Urban University and the Future of Our Cities” and “The University of Wisconsin-Milwaukee: An Urban University.” He saw UWM’s mission as a unique opportunity to give “new meaning to the quality of urban life.” UWM’s athletic complex is named after Dr. Klotsche, who died in 1995. The name has changed several times, but the roots of the University of Wisconsin-Milwaukee go back to 1885 when Wisconsin established the Milwaukee Normal School, a two-year teacher’s college. By the turn of the century, the school had expanded to offer programs in the liberal arts and science as well as education. By the ’30’s, the school, now called Milwaukee State Teachers College, was a national leader in innovative teacher education, with 1,500 students, one of whom was Golda Meir, who became prime minister of Israel. After World War II, the College was authorized to award four-year bachelor degrees and, in 1951 became Wisconsin State College. 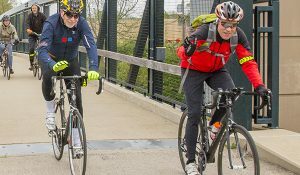 Five years later it combined with the Milwaukee Extension Center, which had been the local outreach program of the University of Wisconsin in Milwaukee. Together, the two institutions became the University of Wisconsin-Milwaukee, with its focus on academic research, teaching and community service. Since its founding, UWM has expanded its programs so that today its 12 schools and colleges offer 81 undergraduate programs, 48 masters and 17 doctoral degrees. Sources: University of Wisconsin-Milwaukee Office of the Chancellor Records, 1943-1992, UWM Archival Collection 46; The University of Wisconsin-Milwaukee: A Historical Profile, 1885-1992 by Frank Cassell, J. Martin Klotsche, and Frederick Olson; and UWM: A Guide to Campus Buildings.